If there are problems with your roof it can be a lot to handle. Luckily when the need arises there are local Cokato roofing contractors you can trust for residential and commercial projects. 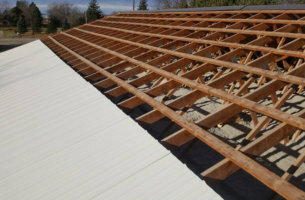 Metro Area Construction is your go roofing company in Cokato, MN. We work install and repair asphalt as well as metal roofs. Our expert team of roofers has the right tools and knowledge for all your construction needs. Cokato homeowners can take comfort that our services will solve any issues including storm damage, hail damage, and general wear and tear. 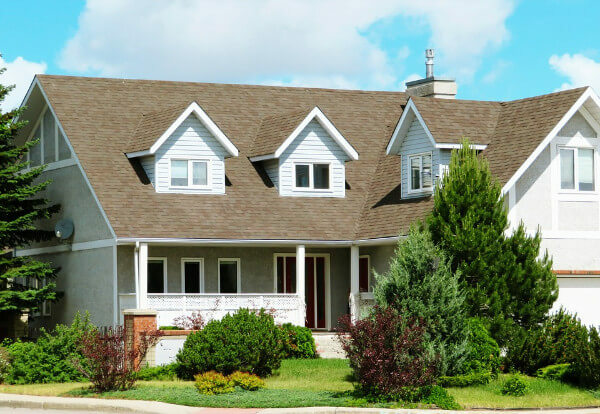 You can rely on our dependable Cokato, MN roofing contractors to tackle any problems with your home. Free Inspection – When you contact our company one of our experts will schedule an appointment at your convenience to assess your issue for free. No matter if you have an asphalt or metal roof, our knowledgeable crew works with all kinds of materials. We will even rush out to you if it is a dire emergency that needs fixing immediately. 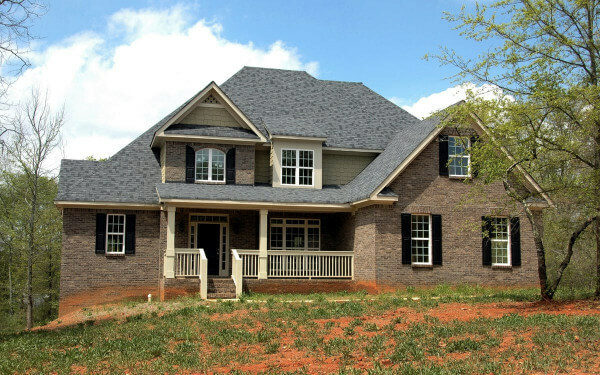 Our roofing contractor will diagnose the situation and provide you with a detailed estimate. Prompt Service – Once we arrange when the roof repairs or replacement will take place we will begin as soon as possible. Using only equipment and materials necessary for your job our team will fix your roof in a timely manner. We’ll keep you informed throughout the process on how the job is going. Satisfaction – We believe in not letting any job go unfinished or incomplete. We will work until whatever issue you have is fully repaired. Your satisfaction as a customer is our top priority. Reliability – If you’ve been searching for a reliable roofing contractor in Cokato then look no further than us. We are fully insured and licensed and will work as quickly and efficiently as possible. All kinds of problems can arise for your home’s roof. People in our industry know leaks, rot, weather damage and other issues can lead to even more expensive repairs down the road. One small crack can cost you potentially thousands of dollars in damages to more than just your roof. Nipping any issues in the bud will save you time, money and stress in the future. We know a lot about common issues and we will make sure to solve any that you have. Many homeowners don’t even see the signs that there are problems with their roof like black spots or leaks. Repairs would be required if there are shingles or tiles missing or damaged as these can lead to major leaks if they already aren’t the cause of one. If you have a standing seam metal roof other major concerns come to mind. If you notice a leak or a potential leak then call us for an emergency roof repair as soon as possible. 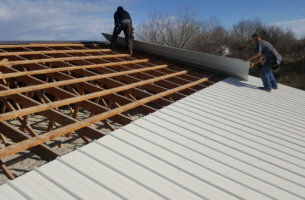 When your home in Cokato, Minnesota has a hail damaged roof, it is important to contact a roofing contractor like Metro Area Construction right away. Our team can make sure your home remains protected, even though your roof has hail damage. 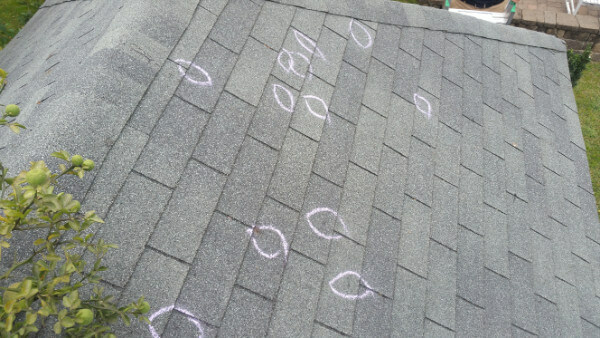 What does hail damage look like on a roof? Often times we see hail ruin metal roofs, asphalt shingles or even break slate or clay tile. This type of damage requires immediate attention from your local contractor. We will provide you with an estimate and work with your insurance company to attempt to get your roof repaired or replaced when necessary. Before you contact your insurance company to make a hail damage roof claim, let the professionals at Metro have a look! Your home or building can take a beating over time from the elements. Sometimes a roof can be in bad enough shape that a replacement is warranted versus multiple repairs to an old one. Hard hitting storms can be a big cause of roof damage. Wind and hail beat and tear off shingles without much effort especially with low quality materials. Heavy objects like trees or other large debris can possibly damage your roof’s structure. For situations like this consider replacement for a cost effective solution. Your home will be stronger and better off. Storm damage isn’t the only reason to get a roof replacement. Sometimes roofs get old and deteriorate. Asphalt shingles have a lifespan of around 25 years so getting your roof replaced around this time is ideal to prevent further damage from occurring. During this time you can choose to redesign or remodel your roof as well with skylights, chimneys or any other décor you’ve been thinking of adding. Lastly replacing your roof increases it’s value. If you’re looking to sell your home or make sure it retains its value over the years then a roof replacement would be ideal. If you want to know how much a metal roof costs or any kind of material for that matter, we will happily provide you with a free estimate. 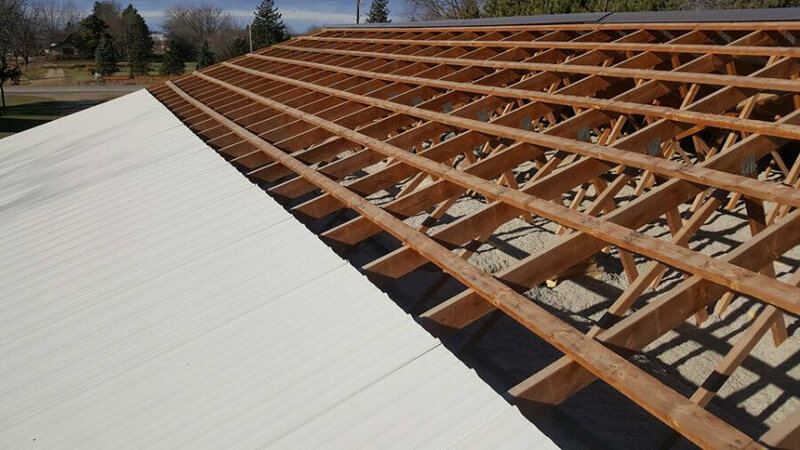 Whatever the reason may be you can count on Metro Area Construction as the best roofing company in Cokato to go to for your roof replacement. We’ll assess your home and give you a free estimate for the cost of replacement. 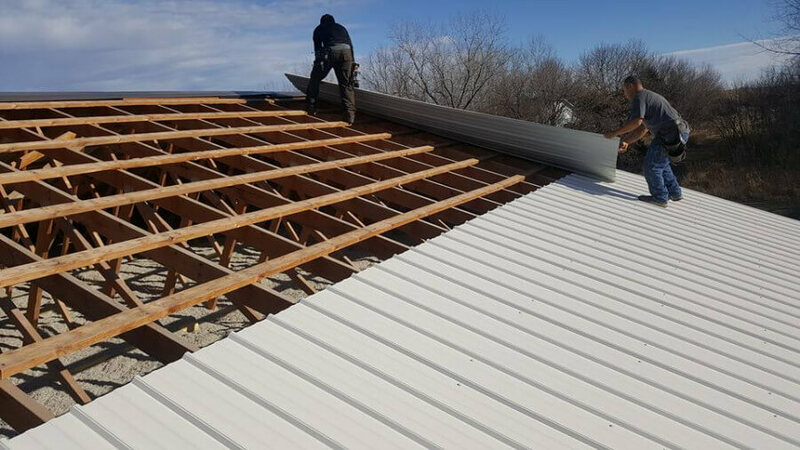 In case you are looking forward to purchasing a metal roof for your home in Cokato or the surrounding area, it is essential to consider the pros and cons. Weigh your options to other alternative roofing materials such as wood, tile and asphalt shingles. 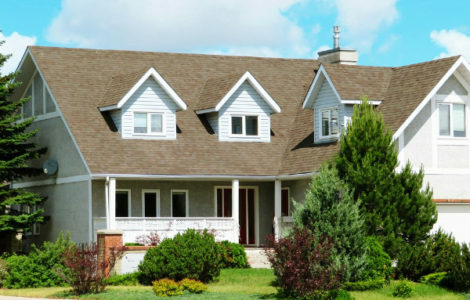 Below is an in depth look at the pros and cons of metal roofing in Minnesota. Durability and Longevity – When metal roofing is properly set up, it is due to last the lifetime of the home owner. They are not subject to corrosion, decomposition, withstand high winds, and are little weight and thus making them impact resistant. Durability goes hand in hand with inspection once in a while. Performance – Due to the ability of metal roofing to reflect, heat energy will be reflected back to the atmosphere and therefore reducing the cost of cooling due to the excellent insulating capabilities. 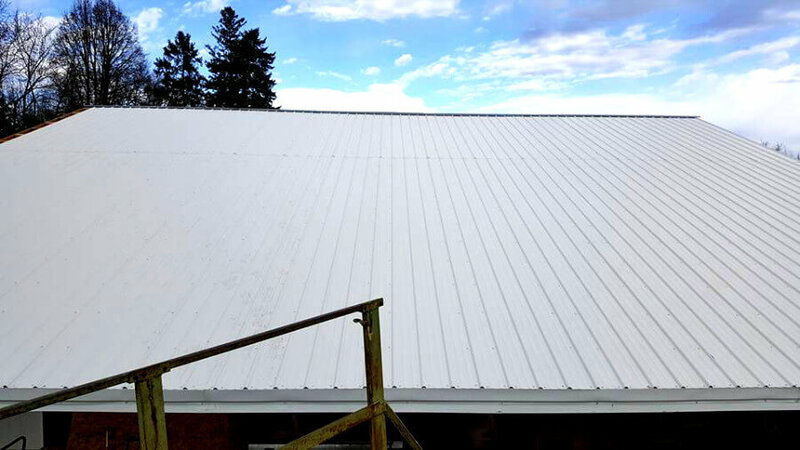 Cost Savings – Metal roofing may at times be more expensive than acquiring other alternative roofing materials, but in the long run, due to its durability and longevity, you will save yourself from re-installing your roof again soon. You will end up saving your time, labor and money in the future. Environment Friendliness -Unlike asbestos metal roofing does not emit harmful substances, making it suitable for the ecosystem. Asbestos roofing releases cancer causing emissions mainly rain water collected from the roof. Furthermore, metal roofs can be recycled and installed again; thus there is no dump after the end of its life. Vast variety – Metal roofing has a wide range to choose from; copper, zinc, tin aluminum and steel are among the various choices. Therefore, based on your budget, style, and use, you can get your best option. *Some of the most popular area where we install metal roofs including Cokato, Minneapolis, Bloomington, and St Paul. In the market today the variety to choose from roofing materials is so broad that people often make the wrong choices of roofing materials that best suit them. 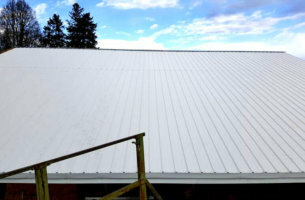 Based on the above pros and cons, a home owner will make the proper judgment on whether or not to install metal roofing. We already have many projects under our belt in the Cokato area. We also provide roofing services in Buffalo and Litchfield, MN. Our team of experienced and trusted professionals are the reason we remain as one of the top roofing contractors. With the right resources, we make sure the job is done right, quickly and efficiently so that you won’t need so many repairs in the future. We are fully licensed and insured to handle any roof repair or replacement needed for your home. Cokato is located in Wright county of Minnesota. Founded in the year 1869, the city came into vogue when it was connected with railroads. The name of the city is derived from a Siouan word that means “in the middle”. The city was formally incorporated in the year 1878. The city might be small but there are certain notable families who have been associated with the city for long such as the Aho family. There is a sprawling business district here that gets travelers and visitors to this area. Cokato Museum And Gust Akerlund Studio – this is a museum that hosts exhibits of local history as well as has history and information about surrounding areas. The studio is a restored photography studio. The Cokato Corn Carnival – is hosted in this city, usually in the second week of August. It takes place in Peterson Park where there are carnival rides, musical entertainment and parades. The Grounds Of Cokato High School – it hosts football games during the weekends. These are some of the popular places and events to check out when you are at Cokato, whether for business or for leisure.